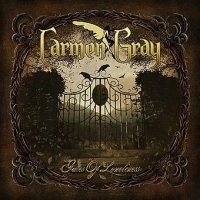 ‘Gates Of Loneliness’ is album number three from Finnish retro rockers Carmen Gray and follows on from ‘The Portrait Of Carmen Gray’ in 2006 and ‘Welcome To Grayland’ two years later. They have come a long way since their humble beginnings a decade or so ago when the trio of Lappe (guitars), Pete (bass) and JJ (keyboards) played together simply for fun and without any real ambition or purpose. Adding the charismatic style of vocalist Nicklas was a significant move in the right direction and the arrival of driving force and drummer OJ proved to be the final catalyst that they needed to take their music seriously and begin to build a career and secure a record contract. Embraced by their native Finland, Carmen Gray have enjoyed much success in their home territory with several hit singles and garnering strong reviews along the way for their quirky and appealing blend of 70’s era Bowie, Bolan and Mott The Hoople with the tattooed swagger and attitude of 80’s rock mega bands Guns N’ Roses and Skid Row. Classy melodies and smooth songwriting continue to be a strong feature on this latest effort that succeeds in raising the bar even higher from the standard that was set with the two previous releases. Opening with the mid-tempo and melodic title track, Carmen Gray immediately hit their stride with Nicklas’ distinctive vocals, strong and passionate, right to the fore. The altogether darker and bitter ‘Roses’ is the albums jewel in the crown with its catchy and insistent chorus (‘you promised me roses, injected me with those bloody roses’) evoking the spirit of the golden days of the Ian Hunter fronted Mott The Hoople and giving it that modern day Finnish Gothic twist that provides a curious feeling of both melancholy and hope. ‘Real Punks (Plastic Smile)’, ‘Demolition Lady’ and ‘Love Story Town’ are other highlights but across the ten songs there is never a dull moment. Bittersweet lyrics of love, death, hope and loss sit alongside references to bygone eras and are delivered in a style that is complete with plenty of groove-laden hooks and refrains with just the right amount of solos that never threaten to overshadow. 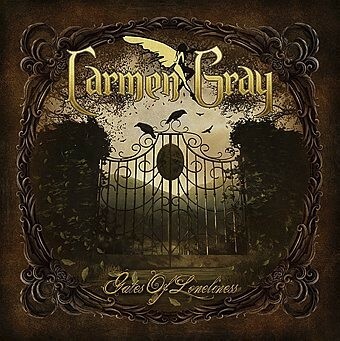 There is a lot to admire about Carmen Gray and their refreshing approach which makes them stand out from the crowd; ‘Gates Of Loneliness’ is another positive step forward in their musical journey and should see them win even more admirers.